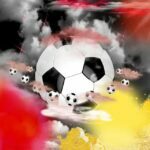 In this guide, I will show you the best Kodi Addons for watching FIFA World Cup 2018 ⚽live stream on Kodi 17.6 ✅. 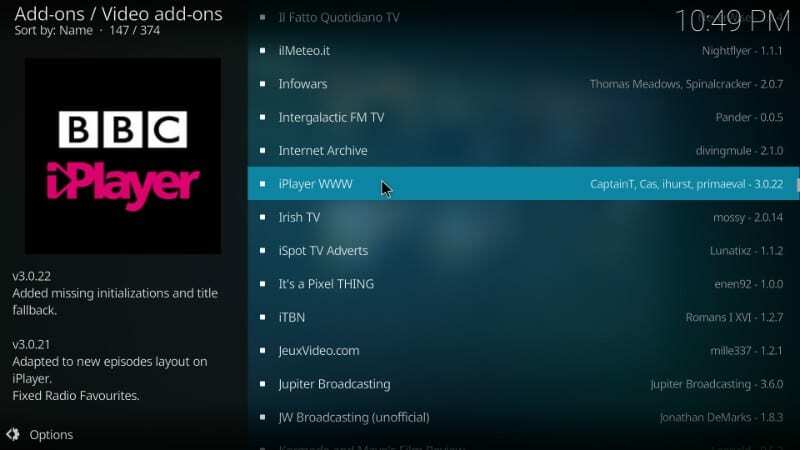 These FIFA World Cup Kodi Addons will work for every device that supports Kodi such as Amazon FireStick, PC, Mobiles, Xbox One, etc. 32 international football teams come together again and battle for supremacy on the Russian turf in the biggest sporting event of the world – FIFA World Cup 2018. The event kicks off on June the 14th and will last for more than a month. Hundreds of millions of football fans will remain hooked on to their TV and hundreds of thousands will watch it live at the stadiums. Football World Cup is not just an ordinary sporting event, it is one full month of festivity for many. So, how are you planning to watch the live stream this year? 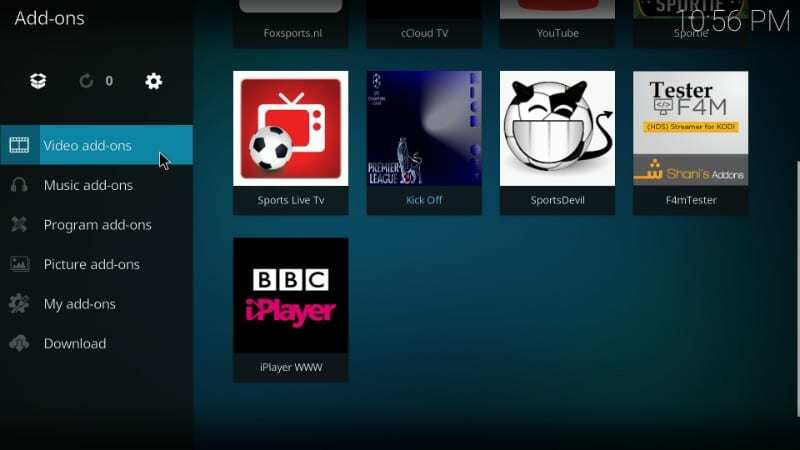 If it is Kodi, this article is all for you to learn how to stream FIFA live with Kodi Addons. FIFA World Cup 2018 will be broadcast on a number of satellite channels worldwide and will be officially available for online streaming on several websites. But, for a Kodi enthusiast, nothing suits better. A lot of our readers have been asking us how to watch FIFA World Cup 2018 on Kodi. Finally, we are here with our comprehensive guide. 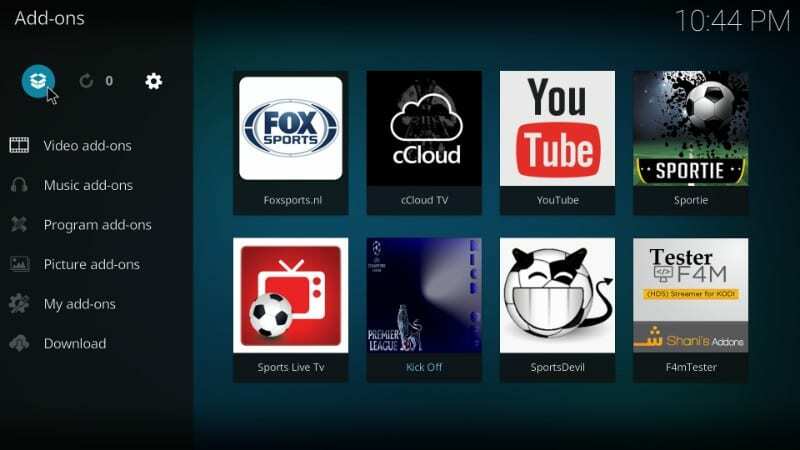 We have explored and picked some of the best Kodi add-ons that will give you access to this football carnival on your FireStick / PC / Smartphone or any other Kodi box. If there are any new developments, we will keep you updated. Come and join the party!! Recommended: If you are not using Kodi on FireStick already, here’s how to jailbreak Fire TV or FireStick. 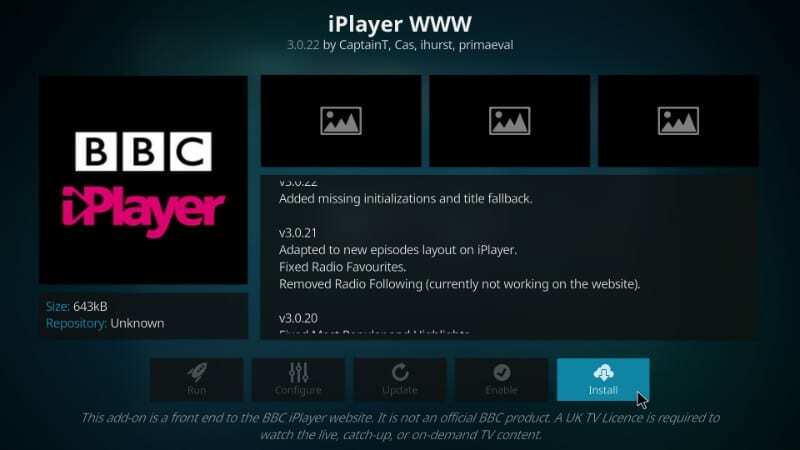 iPlayer WWW is a Kodi sports add-on that is the front end of the iPlayer Website from the very popular and oldest broadcaster, BBC. This add-on offers plenty of streams for various sports including Football, Rugby, F1 and more. BBC is the official broadcaster of FIFA Football World Cup 2018 in the United Kingdom. If you would like to stream the broadcast over the internet for free, iPlayer WWW is going to be one of the best options. What’s truly amazing is that this add-on is legal and completely free. There is one little problem with this add-on though. Its streams are geo-restricted to the residents of the United Kingdom. If you live outside the UK, it will not let you download the stream. But, that’s okay; we know how to remedy this problem using a Kodi VPN. 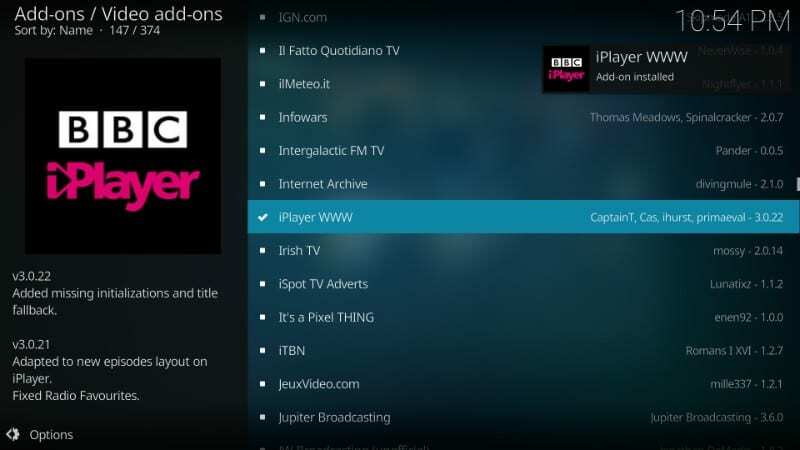 More about VPNs later; first let’s learn how to install iPlayer WWW on Kodi. You will now be able to see the list of all the available streams in the Sport category. As the World Cup hasn’t started as of writing this guide, you cannot see any available streams for it. But, this is the section which is very likely to feature the live streams for the FIFA World Cup 2018. As I have already stated, BBC iPlayer is geo-restricted within the United Kingdom. If you are located in the USA / Canada or any other country, the streams will simply not play. Don’t get disappointed! 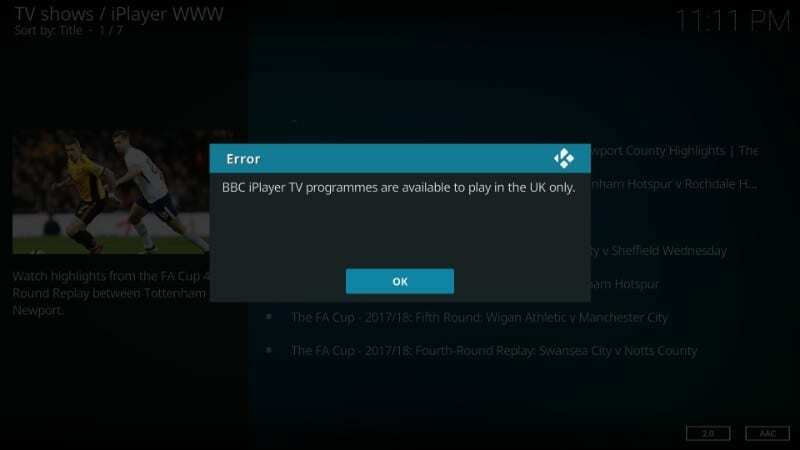 We have an incredible workaround for you that will tie your internet connection to an IP address in the UK and let you play iPlayer WWW without any hassles. You can use a VPN service to completely relocate your IP without you having to move an inch. The best thing about a VPN is that it also hides all your internet activities from the prying eyes. I use and recommend ExpressVPN, which is the fastest VPN. 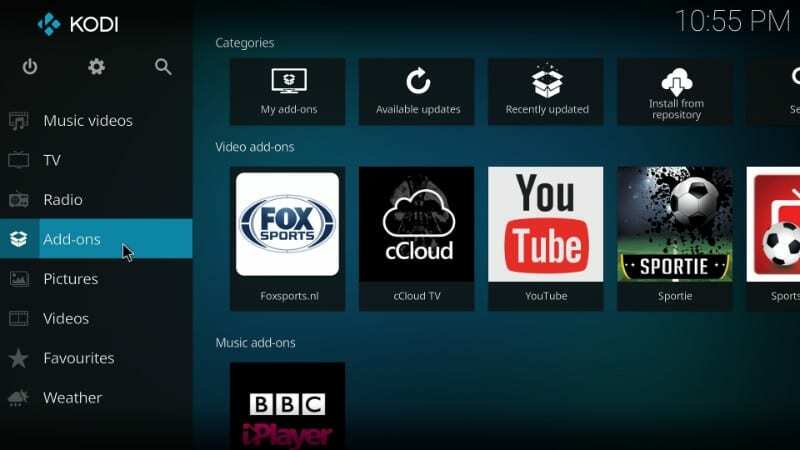 It is Kodi friendly and gives you unbeatable buffering free streaming experience. ExpressVPN offers hundreds of servers worldwide and plenty of them are in the UK. You will simply need to choose a UK server. 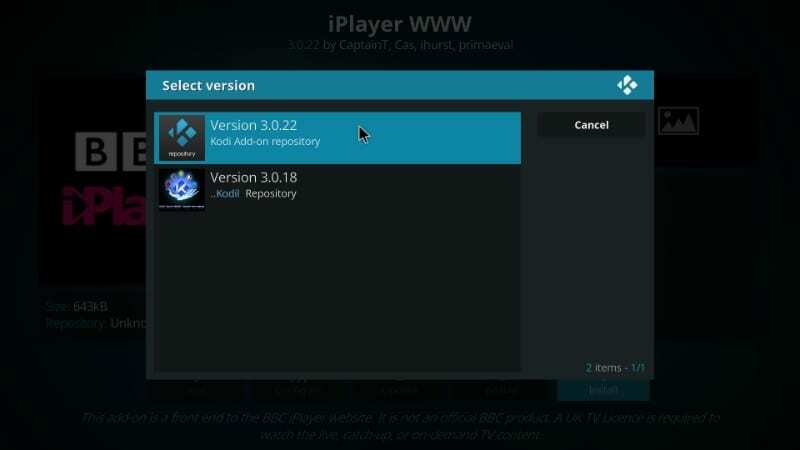 Once connected, you can return to Kodi and restart iPlayer WWW add-on. But, browser streaming isn’t always as much fun and quality as app streaming. The mobile browsers are especially buggy and are prone to crashing. You may download FOX Sports Go app from Google Play Store or Apple App Store. However, for a Kodi user, the Kodi experience is unmatchable. 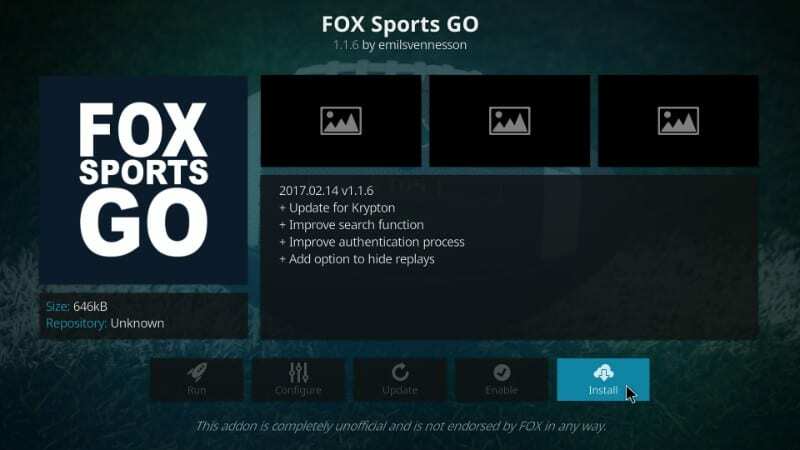 Thankfully, Fox Sports Go has an official Kodi add-on that you can directly install from the official Kodi Repository. 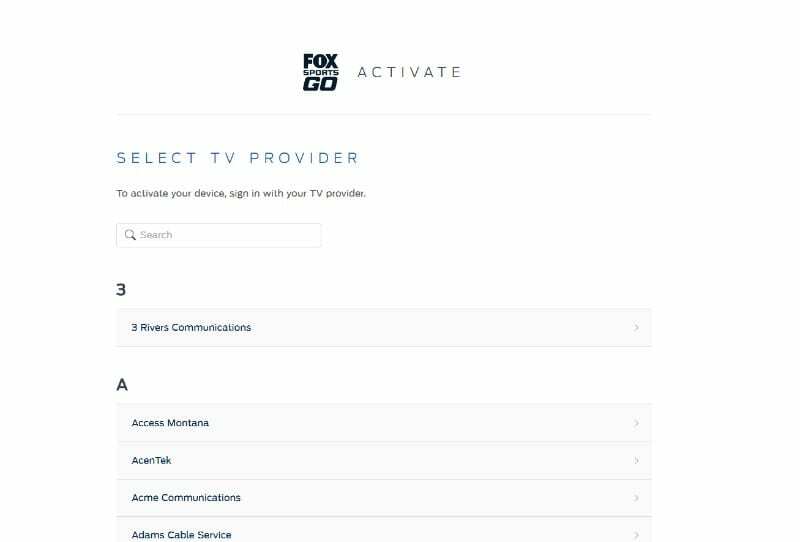 This page shows the list of the featured cable TV providers. You can click ‘More TV Providers’ for the complete list of the providers. 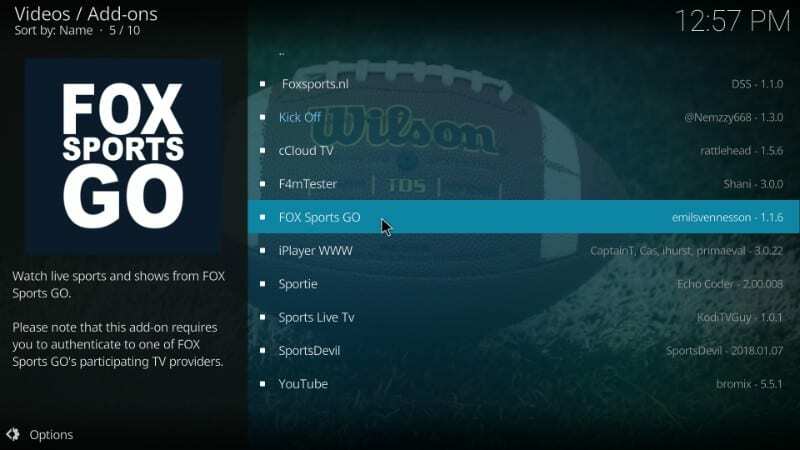 The good news is that if you already have the FOX Sports subscription through your TV provider, you can watch FOX Sports Go on Kodi for free. 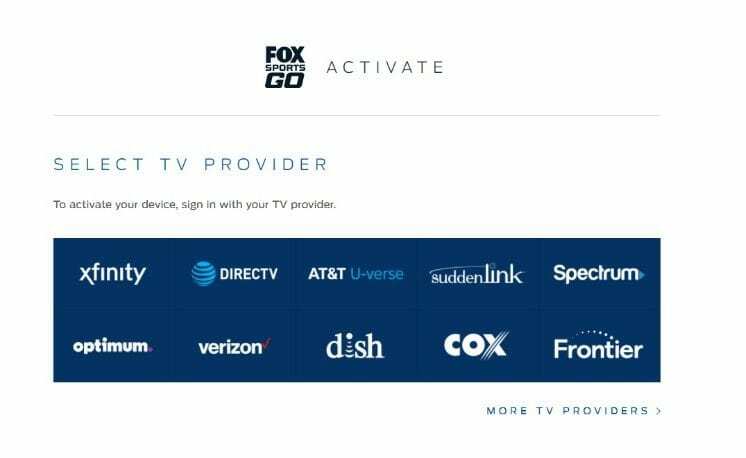 By any chance, if your TV package does not include FOX Sports, contact your TV provider and get it now to enjoy Fox Sports Go Kodi add-on. 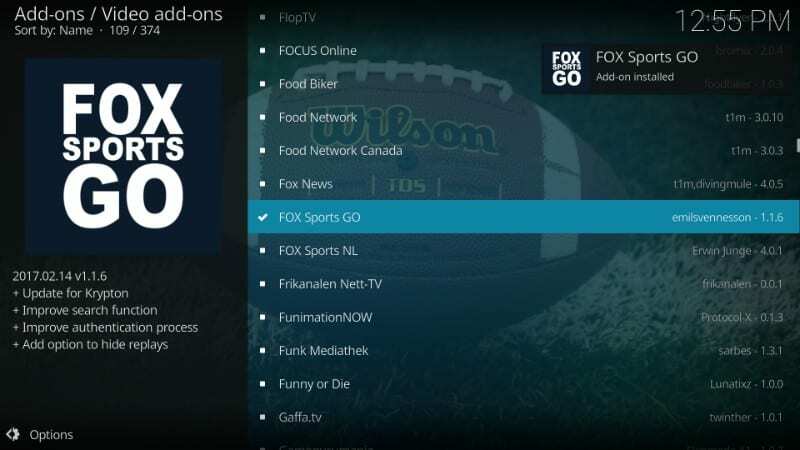 Let us now learn how to install and use FOX Sports Go Kodi Addon to watch FIFA World Cup 2018 live stream. If you don’t have a username or login credentials, you can click ‘Create one’ on the bottom right of the page. 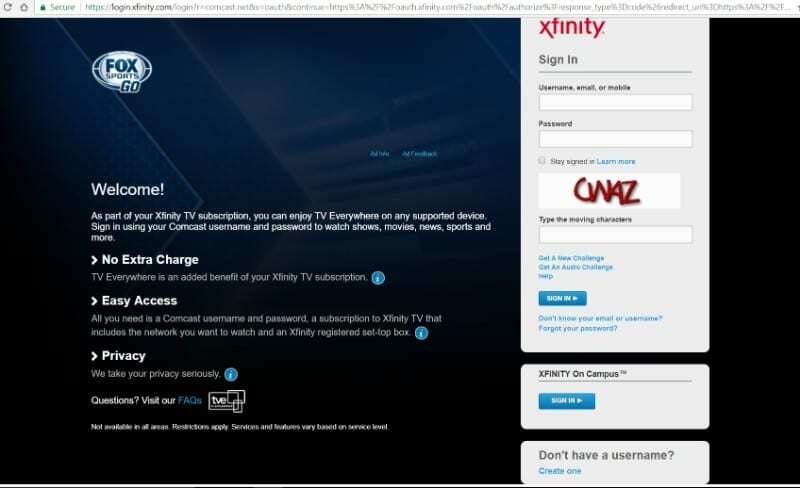 To continue you will need either your mobile number on file with Comcast Xfinity, Social Security Number or the Xfinity Account Number. This is pretty much how it works for all the service providers. 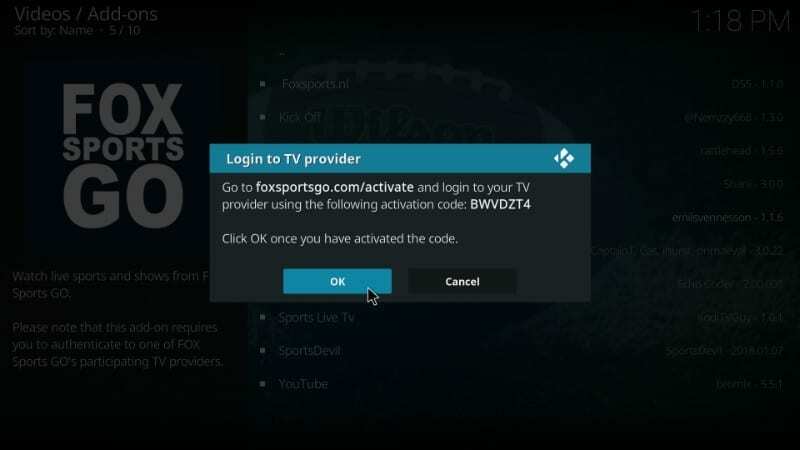 Once you are signed with the TV provider, go back to Kodi and press OK.
To quickly summarize, to watch live World Cup using FOX Sports Go on Kodi, you will need a physical cable TV connection from one of the TV providers in the US. 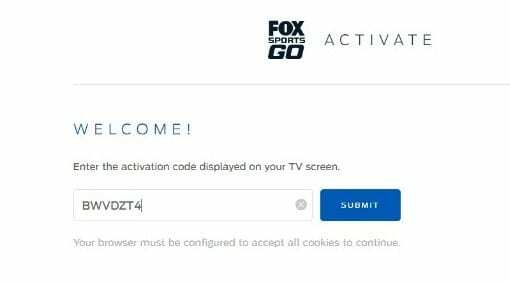 The FOX Sports Go add-on can be activated by signing in to your TV provider using the activation code. 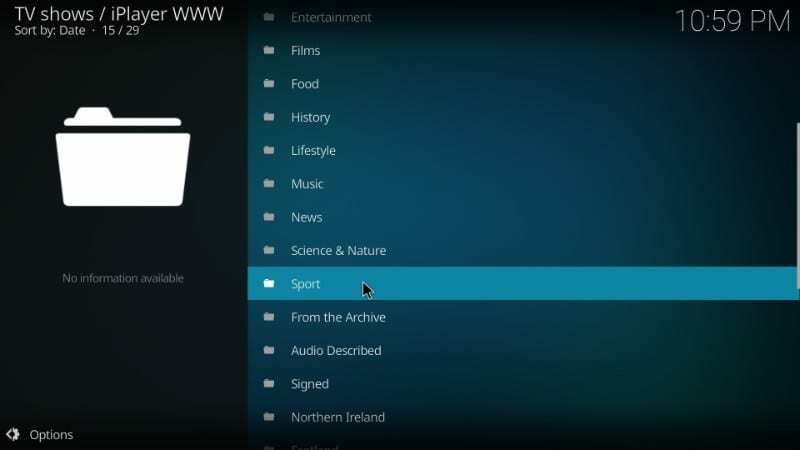 Apart from the official Kodi Add-ons above, there are a few third-party Addons as well which can stream FIFA 2018 on your device. I am listing these addons below with a link to their installation guides. Before you start streaming, I would like to warn you that everything you stream on Kodi is visible to your ISP and Government. This means, streaming copyrighted content (free Sports, movies, TV shows) might get you into legal trouble. Thankfully, there is a foolproof way to keep all your streaming activities hidden from your ISP and the Government. All you need is a good VPN for Kodi. A VPN helps you bypass Online Surveillance, ISP throttling, and content geo-restrictions. I personally use and recommend ExpressVPN, which is the fastest and most secure VPN. It is Kodi friendly and very easy-to-install on any device including PCs, Fire TV Stick, Smartphones, Android box, Nvidia Shield, and other Kodi boxes. Let’s see how to use ExpressVPN to keep your streaming activities hidden from prying eyes. If you are Fire Stick user, here’s how to install VPN on Amazon Fire TV Stick. Now that you have the ExpressVPN protection, check out the third-party Kodi Addons below. Kick-off addon is one of the most viable options to watch FIFA World Cup 2018 live on Kodi. This addon is very popular among sports enthusiasts. Kick-off covers a wide range of soccer games from all around the world. You can watch live games, live channels, and highlights as well. Once the addon is installed, you will require a PIN every 4 hours for it to work. You can generate the PIN for free at https://pinsystem.co.uk. Our main article on Kick-off covers the installation procedure as well as how to use the addon by generating the PIN. Even though cCloud TV is not a dedicated sports add-on, there is a fair chance it will feature live channel streams to watch FIFA World Cup 2018. 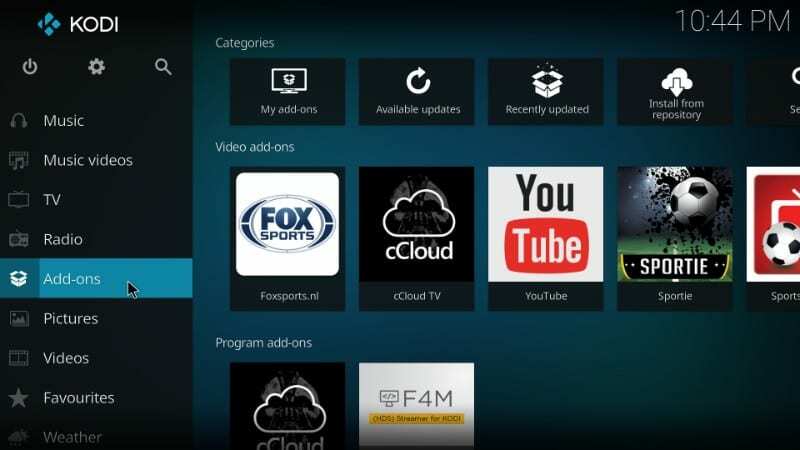 Once you have installed cCloud you can open the ‘Sports’ category in it and you will find dozens of live sports channels. Once the World Cup kicks off, you are likely to find the live TV stream for the channels covering the event. 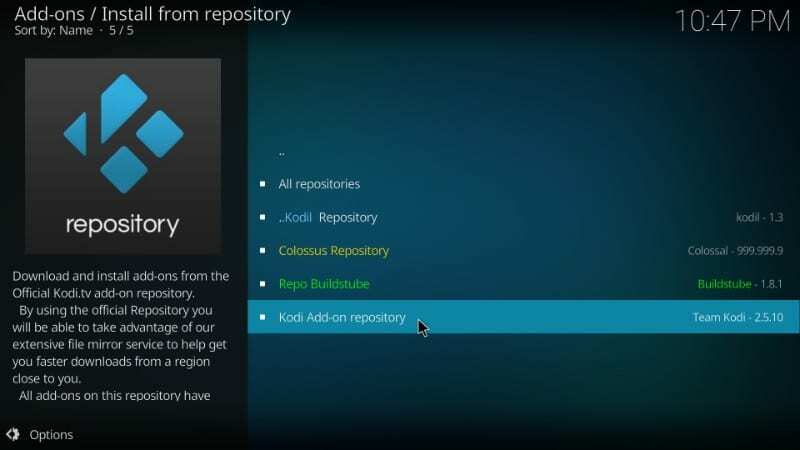 cCloud TV is also available through the Kodil repository. If for some reason, you couldn’t get Kick-off or any other addon working during the World Cup broadcast, you will have cCloud as an alternative. SportsDevil is another very popular sports addon for Kodi. 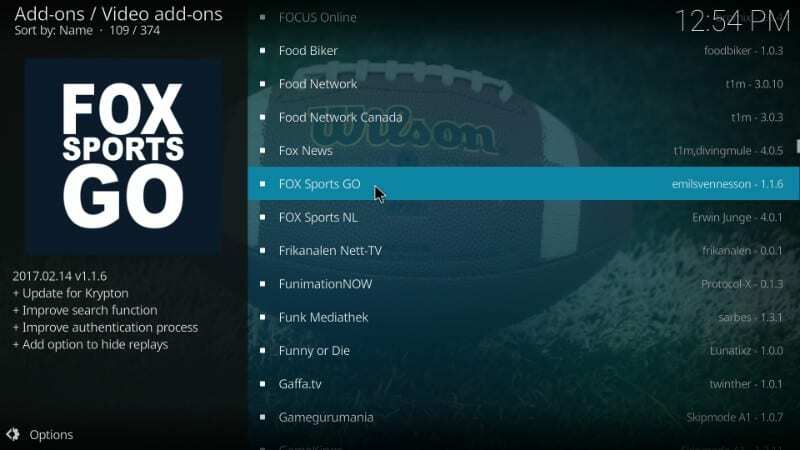 This addon features coverage of various sports including soccer. There is a pretty decent chance that SportsDevil will include the live streams for the FIFA World Cup 2018. You may install this add-on from the Kodil repository. You will also find this addon in the Maverick repo. However, Kodil seems to have the most up to date version. While UK Turk Playlists is primarily an entertainment addon, it has a Sports section which features dozens of categories for various sports. As this addon has several options for football streaming, I am compelled to believe that it will also provide live streams for Football World Cup 2018. UK Turk Playlists is available in the UKTurk Addon Repository. 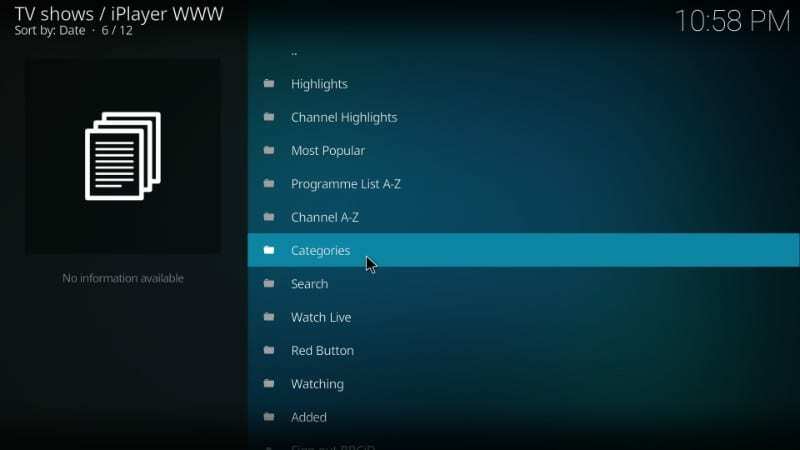 It takes no more than 5 minutes to install UK Turk Playlists on Kodi. Even though you do not require any signup or subscription to use UK Turk Playlists, you will need to generate a PIN at UTPIN.com to use this addon. 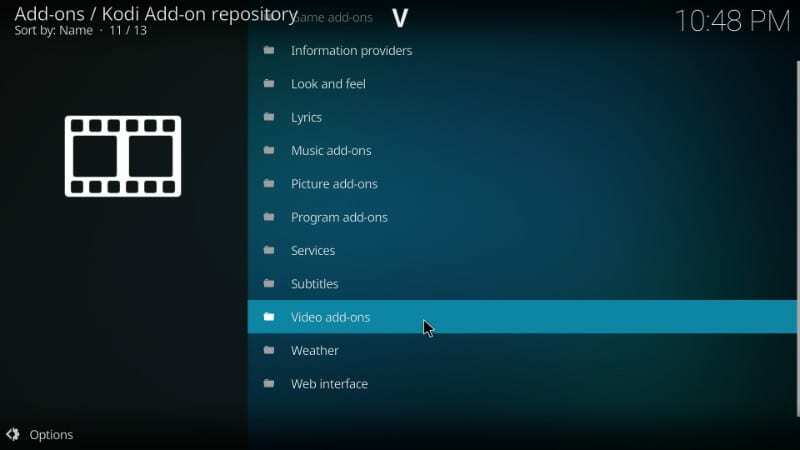 This is another addon you can download and install directly from the Kodi repository. Football Today, as the name gives away, is the dedicated addon for Football. You will find dozens of streams for recently telecast matches from the major leagues of the world. If there is any important match being currently telecast anywhere in the world, you will find a live stream with Football Today Kodi addon. I am hopeful that Football Today will also feature the live streams for the FIFA World Cup 2018. This is why I have put this addon on this list. Go ahead and install Football Today from the Kodil repo. So, here is our list of the top Kodi add-ons for you to stream FIFA Football World Cup 2018 live. As I have already said, if there are any new developments, I will keep you posted and informed through this article. 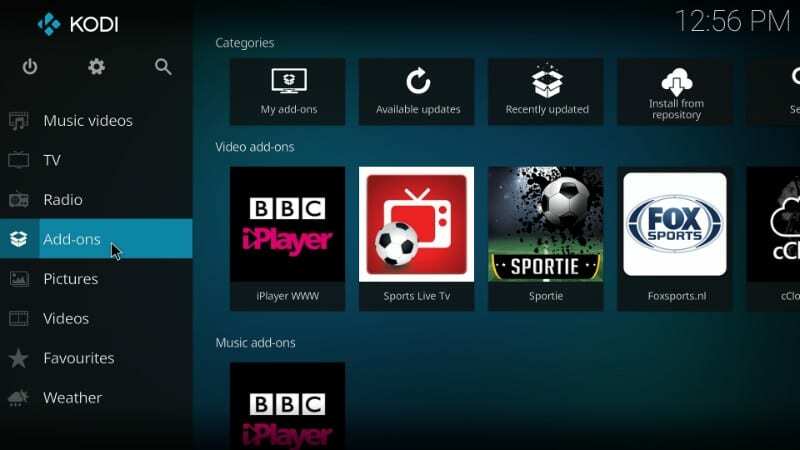 The World Cup is still nearly one week away and things do change with Kodi add-ons, sometimes rather quickly. Many new add-ons may also get introduced by then. Don’t worry! I will be on a lookout all the time and will stay on top of it. I will make sure that you have many options to watch this sporting event even before it has kicked off. Keep visiting this article from time to time to stay up to date. Kodi supports a number of sports add-ons and the ones we have listed are probably the top contenders.